Capoeira is a Brazilian martial art that combines fighting techniques with flamboyant dance-like moves. While it does look spectacular, it should not be underestimated as many of the techniques are deadly when applied with the right intent. Practitioners of capoeira are known as capoeiristas and when taking part in a contest, they are known as players. This reflects the art’s move away from a form of street fighting into a culturally acceptable sport. 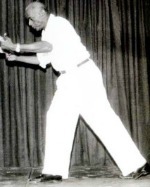 The roots of Capoeira history are unclear and hotly debated by martial arts historians. Some believe the dance-like techniques of the flamboyant art originated in Africa and arrived in Brazil with the slaves who were taken to the country by Portuguese conquistadores from the start of the sixteenth century. However others maintain while some of the moves themselves may have originated in Africa, the art was formed by the slaves after they arrived in the New World. 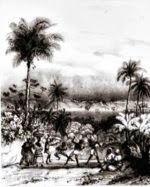 What is known is that it was developed into the art form we know today as capoeira in Brazil by slaves who wished to hide from their masters the fact that they were practicing and learning martial arts. Needless to say that authorities would frown on such practices, so the fighting moves were hidden in dance to protect its practitioners from punishment. 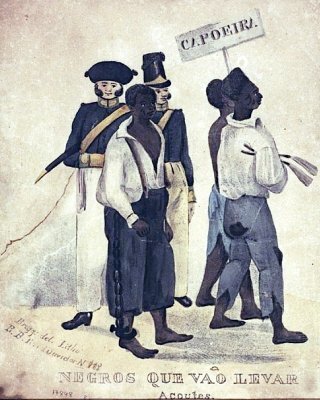 In 1888, slavery was brought to an end in Brazil bringing about a period of reconstruction that saw mass-unemployment and poverty. However for some of the best martial arts experts, the period brought new opportunities to excel and even gain legendary status in the country’s criminal underworld. Colourful characters such as Mestre Manduca da Praia, known as the Elegant Capoeira Fighter and Mestre Besouro Manganga, the Invincible Capoeira Fighter, emerged but as capoeira had became synonymous with crime, it was banned. Those caught practicing the art would be severely punished and capoeirista were hunted down until capoeira had nearly vanished completely. 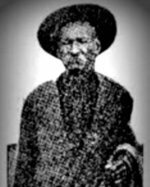 Then in the early 20th century and despite the legalities, Manoel dos Reis Machado, commonly known as Mestre Bimba, managed to demonstrate the art to high ranking dignitaries including the President of Brazil. Bimba added a moral code and consolidated the techniques into what became known as the Regional System, and in the process so impressed the President that the history of the martial art was changed forever. Capoeira’s place in Brazilian culture became set in stone and what is probably the most flamboyant martial art in the history of fighting, was finally made legitimate in the eyes of the authorities and the general public of the country where it was developed. 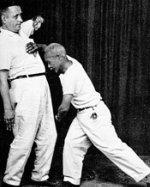 About Capoeira History. [Internet]. 2010. Origens Do Brasil. Available from: http://www.origensdobrasil.co.uk/history.php [Accessed November 5, 2012]. Capoeira: From Crime to Culture. [Internet]. 2012. Library of Congress. 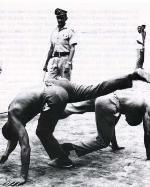 Available from: http://blogs.loc.gov/law/2012/10/capoeira-from-crime-to-culture/ [Accessed November 6, 2012]. 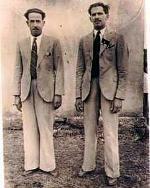 Capoeira History. [Internet]. 2012. Rensselaer Polytechnic Institute. Available from: http://capoeira.union.rpi.edu/history.php [Accessed November 5, 2012]. What is Capoeira? [Internet]. 2012. Princeton University. Available from: http://www.princeton.edu/~capoeira/ln_abt.html [Accessed November 6, 2012].